Even here in the digital age there are a number of scenarios where the purchase of an analog cath/angio system may still be the best choice. Among the most common analog systems available on the used and refurbished cath lab market is the GE LC Series of analog cath labs. 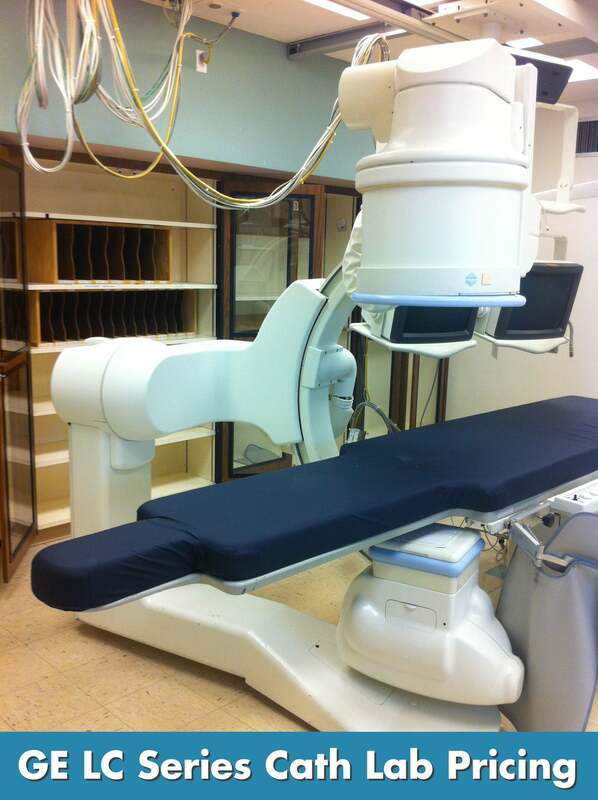 Right now, a single plane GE LC cath lab is priced between $140,000 and $200,000 installed with a 1-year parts and labor warranty. A bi-plane LCN, LCN+, or LCV/LCV is priced between $150,000 and $250,000 installed with a 1-year parts and labor warranty. The main reason for the price variations across this range is project costs. The level of refurbishment you choose, the amount of site preparation involved, the labor and equipment needed to rig the system into your facility, and the engineering expertise involved will affect your final cost number far more than choosing an LCV+ over an LCA+. If you have more questions about the GE LC series or other cath lab equipment, we'd love to help you find your best cath lab system. Use the button below to tell us about your upcoming cath lab project.